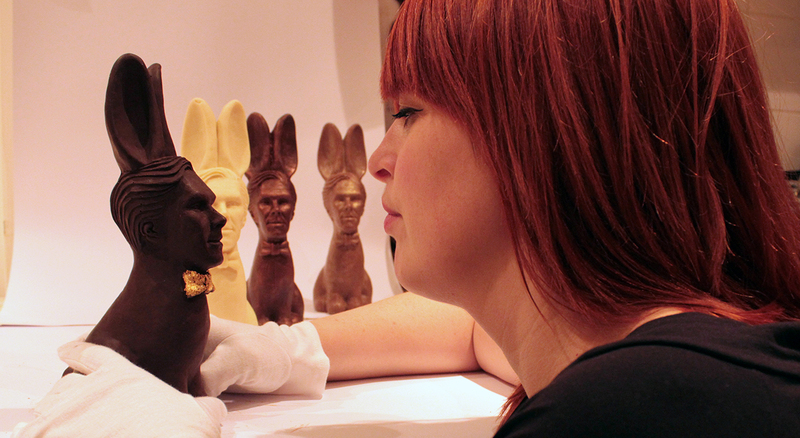 Hey girl, don't you deserve an Easter egg that's shaped just like Ryan Gosling? Yup. 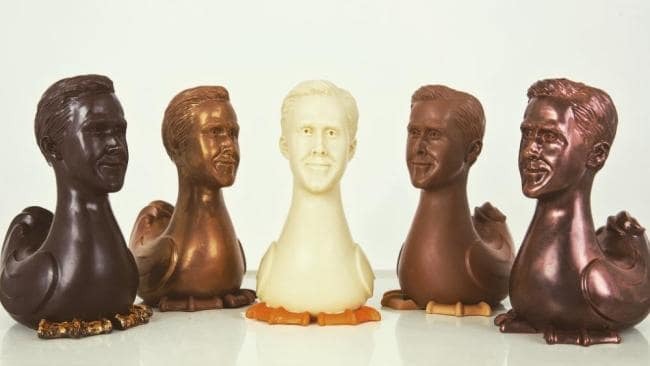 It’s an actual Ryan Gosling Easter egg and it’s waiting for you to mumble, “Hey girl” in a menacing way as you take a bite out of its neck. Look. We feel as weird about this as you do but we’ve been biting the heads off bunnies for so many years, we’re kind of glad that the Ryan Gosling egg has stepped in to provide some fresh respite. 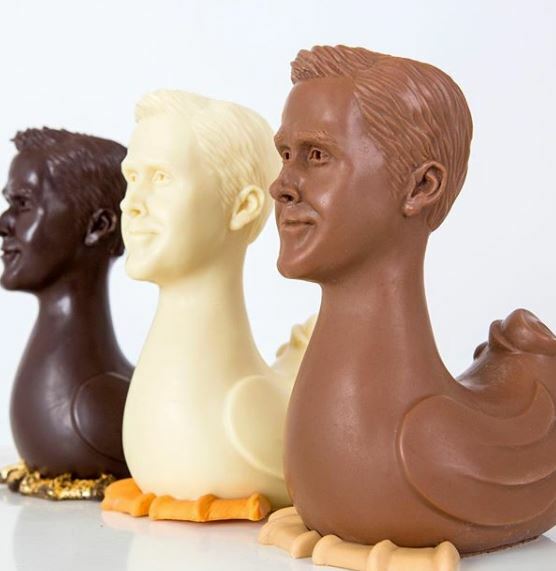 Chocolate Gosling is crafted from vegan dark, white or milk chocolate and has the classic compassionate Ryan Gosling ears, those piercingly chocolate-y Ryan Gosling eyes and a Ryan Gosling set jaw. Granted things go a little south from the neck down but I’m sure we’ve all been there. In this case, ‘south’ means goose as the Gosling head is transplanted onto the body of a … goose. So if you have ever hoped to nibble on a Gosling ear then it’s your gosh darned lucky day! The chocolate Goslings appear to have been all snapped up at this point, but you can definitely bookmark the Chocolatician site for next year. And if you wondered whether this brilliant confection came from the very same genius mind as the world-famous chocolate Benedict Cumberbunny – as seen on The Ellen Show late last year – the answer is YES! 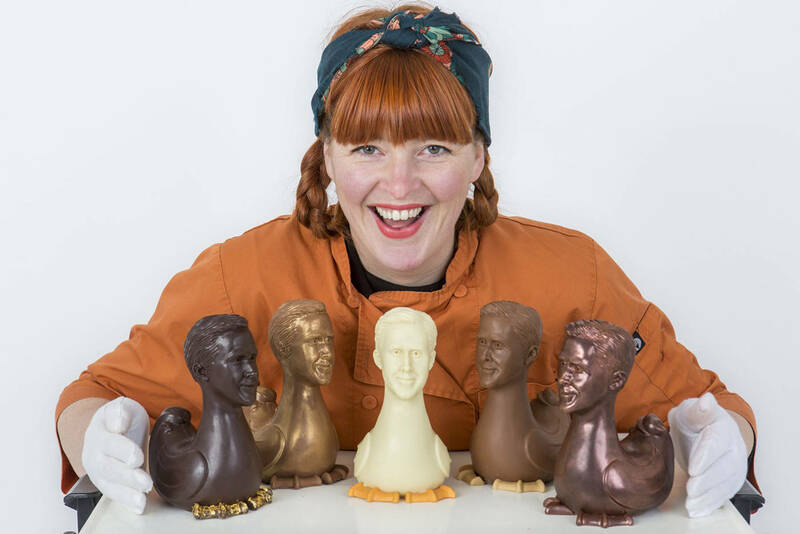 All hail to the chocolate celebrity queen Jen Lindsey-Clark!